Who we are, where we have come from and where we're headed as a church family. Crown Family Church is a contemporary Christian church that meets in Banstead in Surrey. We are a family of individuals from many different backgrounds that have found faith in Jesus Christ. Simply put, we want as many people as possible to experience the exact same freedom and love that comes from a personal relationship with God the Father. "We're so happy that you have found Crown Family Church. Whether this is your first time to visit us online, or if you are a regular to our church family, we want you to know that you are important to God and that He has a wonderful plan for your life. Here at Crown Family Church, we're all on a journey and our prayer is that you join us as part of the family of God on His great mission to reach the world around us. We're saving a seat for you and look forward to welcoming you to church in person." Crown Family Church was started in May 2018 by a small group of families who desired to see more of God in their lives. Back then, we imagined a church that was truly welcoming to everyone - where everyone had a seat at the table regardless of personal history, family background, ethnicity, or gender. We were asking God to reveal more of His love to us. As we began to meet in our homes, we grew in size and needed a more permanent home. In October 2018, the church moved to the Banstead Centre. We draw members from all over Surrey and South London and invite you to join us and plan a visit. What's the bottom line? More than ever, we are committed to fostering a family built around the message of the Gospel. We believe that it is God's great love that unites us together. All of our meetings are centred around worshipping Jesus and growing in love for the world around us. This gives us hope for the future. Hope for better. Hope for progress. Hope in Jesus. And as we move forward as a church family, inclusion and belonging remain at the centre of who we are as followers of Christ. We believe that we are living in a culture of revival and that everyone can encounter the love of God to empower them to live a supernatural life. Our church is a place where people are accepted and loved, but most importantly, encounter God's transforming love. What does this mean for you? Most importantly, you're always welcome in church. We're saving a seat for you. Wherever you're at in your faith journey, you'll always be accepted as part of the family. Beyond that, if you're ready to plan your first visit, click here or learn more about our beliefs. Or if you'd simply like to get in touch with a person on our leadership team directly, click the button below.  Crown Family Church is part of Crown Global, a UK registered charity. The charity is registered with the Charity Commission of England and Wales with number 1135975 and has a board of trustees who have overall accountability and responsibility for the charity's mission and governance. The Crown Family Church leadership team report to the Board of Trustees on a quarterly basis. Our pastor, Steve Pailthorpe serves as the President of the charity, a voluntary and unpaid role. The trustees are Mrs Lynn Carpenter (Chair), Mr. Anthony O'Brien, Mr. Wesley Maynard, Mr. Jonathan Eames, and Mr. Nigel Carpenter. More information about Crown Global can be found on the website here. Crown Family Church is a member of CIC International, a global fellowship of evangelical, charismatic, free churches. The network provides accountability and oversight for our leadership team, whilst giving us access to a wide range of resources and training. The President of CIC International is Dr. Hugh Osgood who is a trusted adviser to Crown Global and a personal friend to our pastors. Find out more about CIC International.